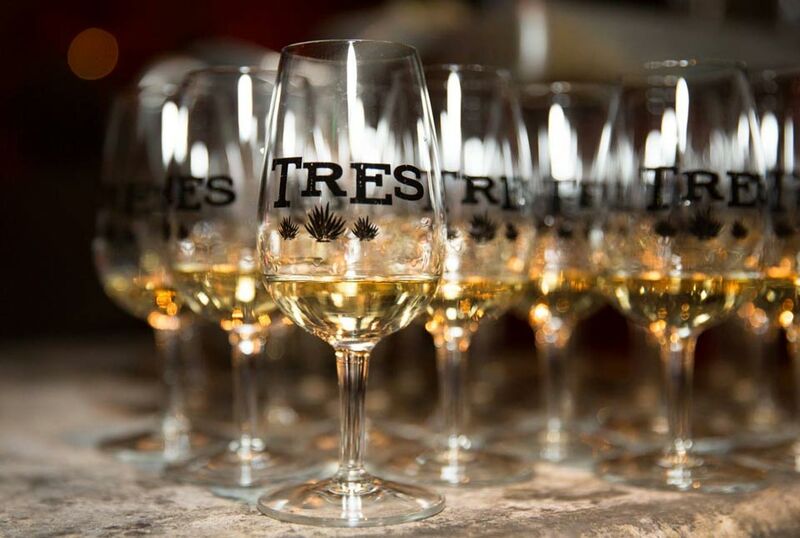 Tres is dedicated to the food and spirit of Jalisco, the state in Mexico where 98% of all Tequila is produced. Our specialty is fresh, hand-squeezed lime margaritas using only 100% blue agave Tequila. Our traditional Jaliscan cuisine is wholesome and rustic, using al pastor and wood-burning ovens. Located just 1 block from AT&T Park, our historic building with exposed brick and wood beams is the ideal spot for comfortable but upscale events. Join us for one of our Margarita Making or Tequila Tasting Classes, both unique and interactive experiences that will leave a lasting memory with your guests. Brunch & Tequila on Sat. & Sun. Located in front of our large picturesque window, the newly redesigned Lila Cantina boasts a light and festive atmosphere with overhead string lighting, hardwood floors, and a beautiful new bar. This semi-private space provides the flexibility to host up to 24 guests seated, and up to 35 for a standing reception. This beautiful, intimate space evokes the feeling of being in a private hacienda in the Central Highlands of Mexico. Our Tasting Room has 15 foot doors, surround sound, a 60 inch flat screen television that can be used for presentations, and complimentary wireless internet. This space comes equipped with a small private bar where a dedicated bartender can be staffed. In this space we offer private tequila tastings and margarita making classes which can be a fun and interactive alternative to a traditional cocktail hour. This room can accommodate up to 30 seated for 40 for a standing reception. Our historic building with exposed brick and wood beams sets a warm and welcoming atmosphere for your guests. Surrounded by our signature rock wall and the exhibition kitchen, guests can view the workings our experienced Chef's while basking in the light of a beautiful chandelier imported from the birthplace of Tequila. The open kitchen boasts a wood-burning al pastor oven, rotisserie, and fiery comal for our house-made tortillas. This semi-private area is located at the heart of the restaurant separated from the bar area by our reserve tequila collection and can host up to 50 seated or 70 for a standing cocktail reception. This space is a magnificent example of Jaliscan culture, featuring our stunning reserve bottle display within our tequila cage, antique barrels lining the walls, and exposed brick and wood beams. Guests will be inspired by the large, paneled photos exhibiting the tequila making process. This room includes two 15 foot bars, a large cocktail area, an 8 foot projector screen, surround sound, and wireless microphones. Cuisine is served plated for up to 40 or buffet-style out of our authentic taco carts brought up from Guadalajara. We can accommodate up to 100 seated or 220 for a standing reception. The Chef's Table is located in the center of the exciting bustling hub of the Main Dining Room. Surrounded by our unique signature rock wall and the exhibition kitchen, guests can view the workings of the kitchen while basking in the light of a massive chandelier imported from the birthplace of Tequila. Thekitchen boasts a wood-burning al pastor oven, rotisserie and fiery comal for the house-made tortillas. This communal table is ideal for a seated dinner for anywhere from 10 to 22 guests.